Located in the heart of Bangkok on Sukhumvit Road and set a short stroll from the BTS skytrain is the 4-star Grand President Hotel Bangkok. 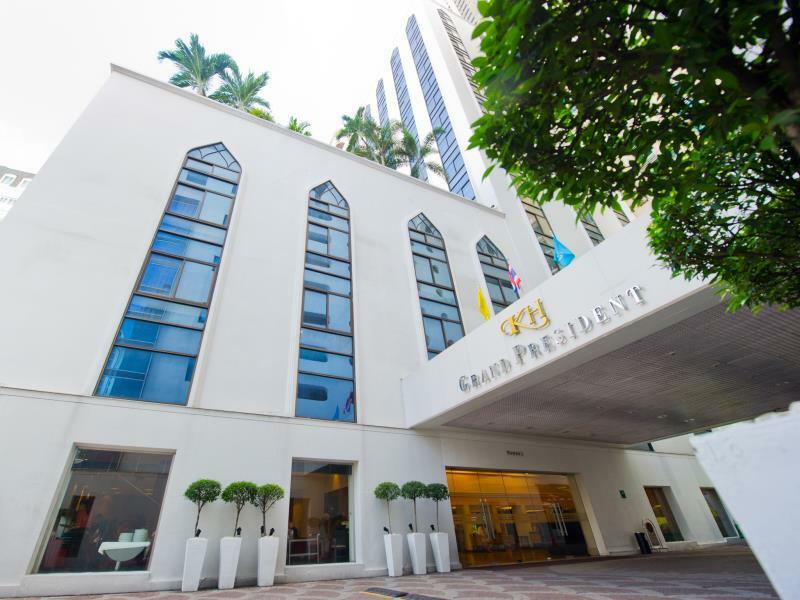 Grand President Bangkok, offers guests a most central location being situated along Soi 11 of the hip Sukhumvit Road and a mere 5 minute walk to the Nana BTS Skytrain Station. This prime position on Bangkok's famous Sukhumvit Road means the city's best shopping, dining, leisure, and entertainment venues are conveniently close at hand. This major avenue is also one of Bangkok's largest commercial centers, with key business and financial centers, the Queen Sirikit National Convention Center and embassieswithin easy reach. This Bangkok serviced apartment features 437 well-appointed and spacious rooms and suites which combine the comforts of home with the facilities and services of a superior hotel, and in today's security-conscious world we offer the ultimate in privacy and safety. Facilities of this serviced apartment include high-speed Internet, air-conditioning, in-room safe, minibar and more.